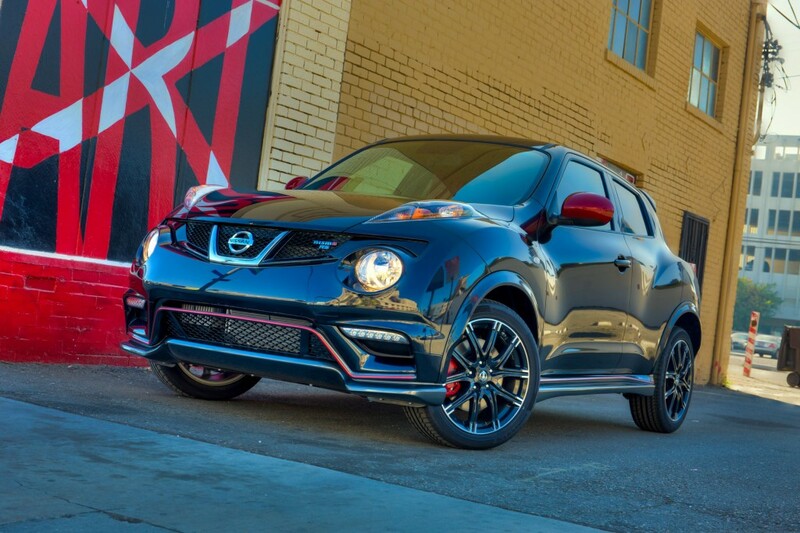 As king of the JUKE line, the new NISMO RS ups JUKEs bragging rights to a best-in-class* 215 horsepower (at 6,000 rpm) and 210 lb-ft of torque (at 3,600 – 4,800 rpm) for the 6-speed manual transmission-equipped front-wheel drive model. The JUKE NISMO RS All-Wheel Drive with Xtronic CVT® is rated at 211 horsepower (at 6,000 rpm) and 184 lb-ft of torque (at 2,400 – 6,000 rpm). If you’re trying to figure out what makes the new 2014 JUKE NISMO RS, which debuted last week at the LA Auto Show, different than the JUKE NISMO, you just have to look at it. With a little bit more of everything, whether it’s performance or style, it’s easy to see that the RS has it all. As the third model in the 2014 JUKE lineup, the sporty design of the RS matches its performance. With best in class horsepower—215 ponies—and 210 lb-ft of torque, the JUKE NISMO RS is just what any speed demon is looking for. Add the 1.6-liter, 4-cylinder direct injection engine, and you can’t go wrong. The interior is its on class of sporty luxury with genuine Recaro front seats that have red leather side bolsters and black suede center inserts, ensuring that the driver and passenger won’t be moving when they take those sharp turns at high speeds. The red and black theme runs throughout the car with red stitching and a beautiful Alcantara steering wheel cover. If you think the 2014 JUKE NISMO RS is the car for you, it should be arriving on dealerships nationwide in early 2014. Terry Balliet is a Business Development Specialist at Rothrock Motor Sales.